REVISION: The press release, issued on Thursday December 17, 2015, has been revised to clarify the reference to population growth projections for the state of Florida. Greybrook Securities Inc. and Greybrook Realty Partners Inc. are pleased to announce the successful deployment of USD $37,370,000 in equity capital to develop an ultra-luxury residential condominium located at 300 Biscayne Boulevard, in the heart of Miami, Florida. Greybrook Realty Partners has partnered with Property Markets Group (PMG) to build the tallest tower in Miami. Located directly across from Bayfront Park, the site is one of the last infill parcels in the downtown Miami area featuring unobstructed views of Biscayne Bay, Miami Beach, South Beach and the Atlantic Ocean. Miami was recently ranked the sixth most important city in the world to ultra-high-net-worth individuals, second only to New York in North America. Furthermore, according to the 2005 US Census Bureau Interim State Population Projections, Florida’s population is projected to grow to approximately 28 million people by 2030, which would represent a 12 million person increase since 2000. “Downtown Miami has become increasingly competitive with Miami Beach as a sought-after residential, commercial, tourist and cultural hub,” said Sasha Cucuz, CEO of Greybrook Securities. “Miami is becoming a new global gateway market with the downtown Miami core at the epicenter of a city that has a growing financial sector and is the destination of choice for commerce and entertainment.” Miami is the second most popular banking hub in the United States and home to over 60 international banks and nearly 100 alternative investment companies. “Greybrook is always monitoring major real estate markets across North America for high-quality investment opportunities. 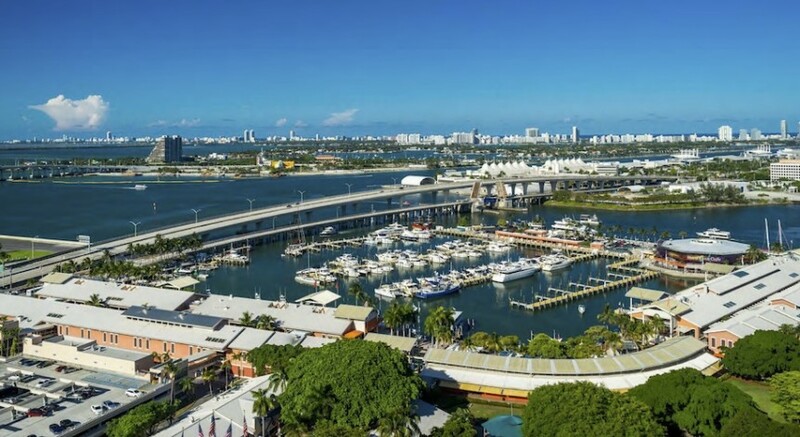 The Miami market meets a number of Greybrook’s investment parameters, and is a market in which we plan to make future investments,” says Greybrook Realty Partners CEO Peter Politis. “We are thrilled to be working with a partner of PMG’s caliber, and plan on expanding our partnership with the firm and building on the strong relationship with PMG Founder Kevin Maloney and Principal Ryan Shear in Miami.” PMG has offices in New York, Miami and Chicago and is developing six projects in South Florida with an estimated sellout value of about USD $2 billion.